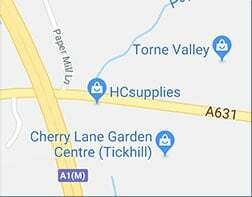 If you want to return your product bought from HCSupplies you have until the seventh day after delivery of the item to let us know in writing that you would like to return your item for a refund. Please send us an email to inf[email protected] or write to us at our address on our contact page. This however does not apply to any item(s) from our kitchen worktops range. For example, kitchen worktops, breakfast-bars, splashbacks and upstands cannot be returned.